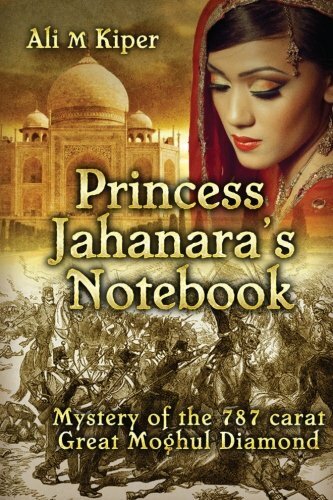 about this book: A top Amazon Reviewer wrote:"(Princess Jahanara's Notebook) will take you away on an all out thrill ride that is full of twists and turns. Extremely well written in an astounding fashion that I consider to be a mix between KEN FOLLET and INDIANA JONES". One of the reviewers mentioned that this book demonstrates how Afghanistan was a difficult adventure for the British Empire a long time before it was the same for the Soviet Union and the United States. This shows that if we don't learn from history then we are condemned to repeat it. The story gives the reader a lot of historical background about the countries involved, such as Persia, Russia, Caucasia, and Istanbul in the Ottoman Empire. The book depicts many actual historical events, although the protagonist's involvement in these events is fictitious. This author believes that history offers, to new fiction writers, attractive opportunities for finding plots for writing fascinating stories. Writing books about either the history of the region where the potential writer lives, or an historical fiction in that location could be interesting.